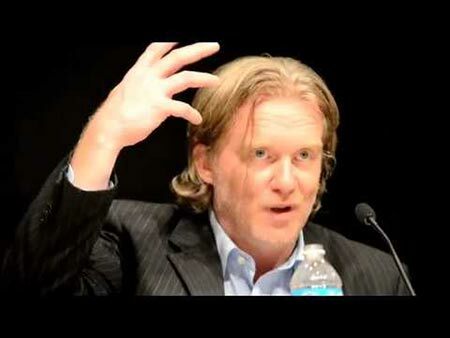 Is Anthony Michael Hall Gay ? The American actor, producer, singer, and director Anthony Michael Hall debuted in the movie industry in 1982 from the movie Six Pack where he portrayed the role of Doc. His Television debut was from the Television series named The Gold Bug. Hall has been cast in some hit movies like The Dark Knight, Dead In Tombstone, Edward Scissorhands, Sixteen Candles and so on. He has made himself a household name in the entertainment field. His recent work includes his cast in the series, Riverdale. Anthony Michael Hall was born Michael Anthony Thomas Charles Hall to parents Mercedes Hall and Larry on April 14, 1968, in West Roxbury, Massachusetts, United States. He was the only son of his mother Mercedes Hall who was a blues-jazz singer and his father Lary was an auto-body-shop owner. His parents divorced when he was six months old and later on his mother married a show business manager named Thomas Chestaro. Hall's mother used to work as a featured singer and raised her son in the West Coast and New York prior marrying Chestaro. He belongs to Irish & Italian ancestry and has a half-sister, Mary Chestaro from her mother's second marriage who has a career in singing. For his schooling, he joined St. Hilda's & St. Hugh's School and later on enrolled at Manhattan's Professional Children's School. He was interested in acting at an early age and from an age of 8 started acting. Hall didn't go to college since he put his whole focus on his career as an actor. He first started working in commercials when he was just seven and appeared in the Honeycomb cereal kid ad and other commercials for Bounty and Toys. Later on, he started doing stage plays in 1977 and was a part of the play, The Wake. Anthony Michael Hall is professionally an actor who did his movie debut from the 1982 movie Six Pack where he portrayed Doc. After his debut, he was cast in several movies like Sixteen Candles, The Breakfast Club, Johnny Be Good, The Dark Knight, Dead in Tombstone, Edward Scissorhands and so on. Besides acting he was also into directing and producing movies. In 1994, he portrayed Julius Caesar McMurty in the movie Hail Caeser which he also directed. He acted and produced movies like Funny Valentine and Aftermath in 2005 and 2013 respectively. His 2017 movies include The Lears, War Machine and Bodied. In the movie War Machine, he was cast alongside actors like Brad Pitt, Emory Cohen, and Topher Grace. Hall's small screen debut happened in 1980 from a Television film named The Gold Bug where he portrayed Young Edgar Allan Poe. The following years of his debut he started getting signed in several Television projects. His other TV film includes James A, Michener's Texas, A Bucket of Blood, Pirates of Silicon Valley, Final Approach, Zombie Night and so on. His popularity led him to be a member of Saturday Night Live in 1975 where he worked for one season and had to leave the show since he had to go to rehab. Anthony Michael Hall as Bill Gates in the series, Pirates of Silicon Valley. In the 2002 series The Dead Zone, he was cast as the lead character, Johnny Smith till 2007 and also worked as a producer of the series. Hall appeared in a recurring role of the character Mr. Hart in the series, Awkward and in the series, Murder in the First as Paul Barnes. His most recent project includes his cast in the teen drama mystery series, Riverdale where he plays the role of Principal Featherhead in an episode. The series cast actors like KJ Apa, Lili Reinhart, Camila Mendes, Cole Sprouse and so on. 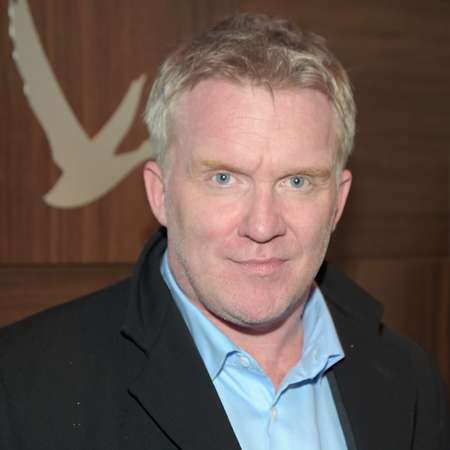 The American actor, director, and producer Anthony Michael Hall is estimated to have a net worth of $8 million and $16 million according to Celebrity Net Worth and The Richest respectively. Some of his movies were a hit in the box office collection. Cast Members - Christian Bale, Michael Caine, and Heath Ledger. Anthony Michael Hall is not married and is not in a relationship with anyone. His personal life has always been a mystery to the media and all of his relationships are not confirmed. Hall was rumored to be dating film actress Fiona Forbes in 2007, Trisha Paytas in 2008 and Corinne Staffell in 2004. He was in a relationship with a radio personality and writer named Diana Falzone in 2009. She had filed a restraining order against him as she found Hall stalking her apartment door. Besides he is rumored to be dating Kelly Stone, Molly Ringwald, Teresa De Saint and so on. He resides in Playa del Rey, California and is the owner of a film production company named AHM Entertainment. Hall is the godfather of Indio Falconer Downey, Robert Downey Jr's son. He was interested in music as well and was in the musical field as a songwriter and singer in the band named Hall of Mirrors which was formed in 1998. Hall used to play bass, drums, guitar and used to compose songs for his band. His favorite character he played is Bill Gates which he portrayed in the movie Pirates of Silicon Valley. According to him, he enjoyed playing the richest man in the world. He ranked number 41 in VH1's list of the 100 Greatest Kids Stars. Hall was charged with felony assault on November 17, 2016, for an assault on a neighbor which led to a serious bodily injury. He was rumored to be dating be dating actress Lucia Oskerova earlier in 2016. The appeared on the 4th Annual Wishing Well Winter Gala Red Carpet together.